« Join the Lunchroom Green Team! It’s hard to believe it’s that time already but the PTO Executive Board is starting to build the team of volunteers for the 2019-20 school year. There are so many different ways to volunteer and lots of committees to choose from! CLICK HERE to view a complete list. Submit your name and contact information to express interest! Work with Mrs. Handlon to organize a fall and spring book fair at Roosevelt. Coordinate a lunch for Roosevelt Staff on the institute day before school begins as well as plan Teacher Appreciation Week in May. CLICK HERE to learn more about the current Executive Board and each of their roles. There are several openings on the board for next school year. Curious about what it takes to serve on the PTO Board? Email the current board members with your questions. Send a general email to the PTO at prrooseveltpto@gmail.com. Rescheduled due to the cold weather – a new date and time will be sent out soon! 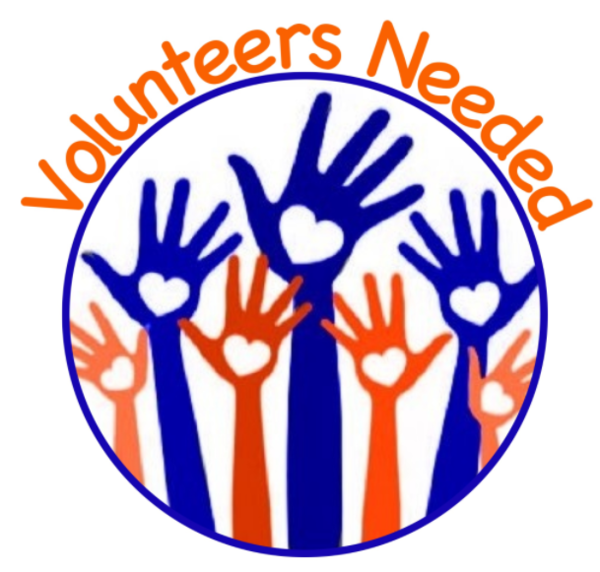 CLICK HERE to submit a Volunteer Form today!